Summer is winding down, vacations are coming to an end and you might be finding yourself ramping back up with work and daily activities. 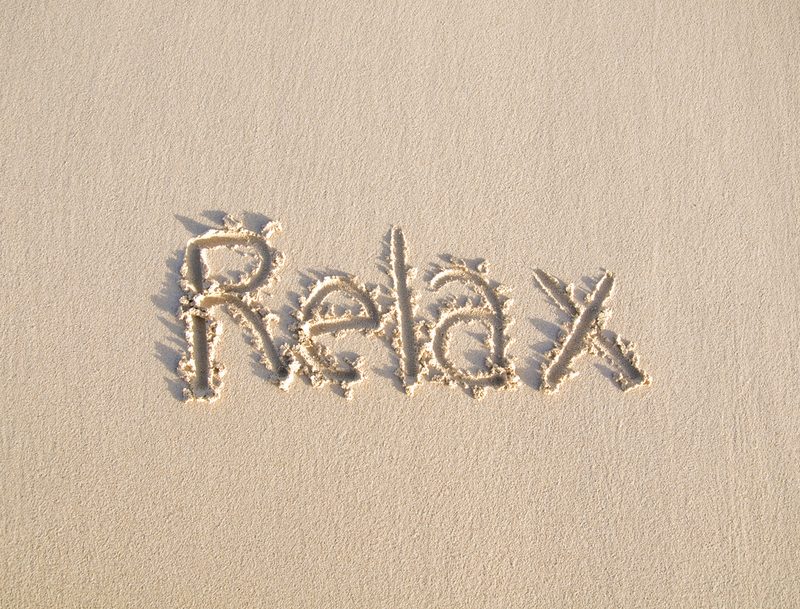 It seems fitting that National Relaxation Day falls on August 15th. After all, what says relaxation like battling crowded stores with parents shopping for school supplies and you trying to juggle work, family, and taking care of your home? So, while it's not likely you'll find yourself taking the whole day to read and nap, it is possible to celebrate this self-care-focused day. Make a point to start each day with even 5 or 10 minutes of quiet time to reflect, focus on your breathing, and clear your mind, before you begin rushing around filling it with all the urgent To-Do’s that life will bring your way. Whether you are meditating, praying or simply sitting quietly in your backyard, this practice will help you find the center you will need to return to when stress starts to sneak in. Sure, your to-do list length makes you shudder. When you're this busy, what gets pushed to the bottom of the list? The coffee date with your favorite person. The appointment with your Fitness Together personal trainer. Getting out for your daily walk. Self-care is the first to go, and often the last to be scheduled. This is true despite the fact that being overworked will often make you less productive and much less satisfied. One way to get back on the self-care wagon? Make a date - with yourself. Schedule in time to call your friend. Call Fitness Together and put those sessions on the calendar. Purposefully give yourself 20 minutes each day to read, draw, or create. The more small moments you build into your life, the more content you’ll be. Brianna West says on thoughtcatalog.com that, "true self-care is making the choice to build a life that you don't regularly need to escape from." Keep in mind that for everything you say "yes" to, you're saying "no" to something else. Say yes to joining an advisory team? You're saying, "see ya" to those evenings with your family. On the other hand, when you purposefully invite yourself to exercise or an unrushed lunch date, you're able to say no to some unnecessary time-wasters. In a society where people often wear their long work hours and over-scheduled activities as badges of honor, don’t be surprised at the shocked look on the faces of others when you share your relaxation secrets. Practice enough relaxation and self-care and you’re bound to inspire a few others to follow suit when they see the relaxed and energized version of you. If nothing else, National Relaxation Day can serve as a reminder to be intentional about gifting yourself with several moments of self-care every week. West also says, “(self-care) means being the hero of your life, not the victim. It means rewiring what you have until your everyday life isn’t something you need therapy to recover from.” And, on Wednesday, August 15th, we hope you start a self-care habit. Find yourself a park bench, join us in the studio, or otherwise give yourself a little dose of love.